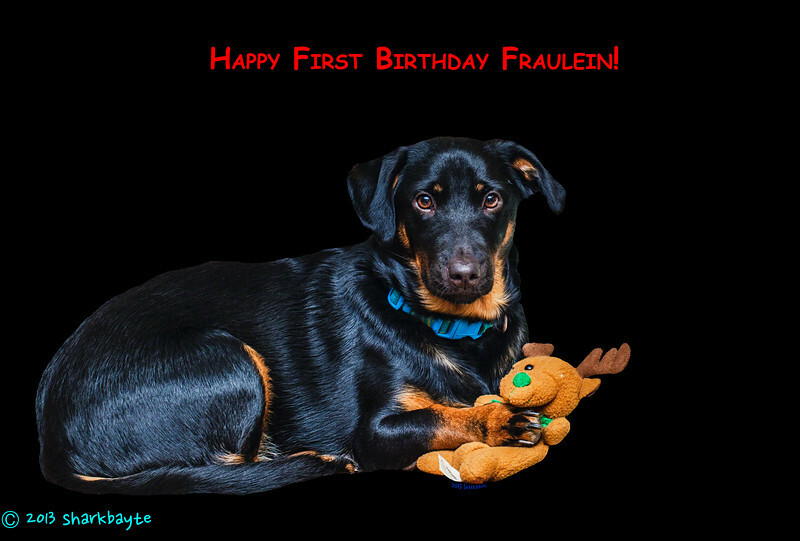 Feb. 5, 2013-The shelter said they think she might have been born today. My vet said it would be around beginning of March. So I'll celebrate her birthday today and the day I took her home. It has been 11 months of pure joy and happiness! Happy Birthday baby girl! If this is just a small example, and this particular shot exists at all, you are a master of dog portraiture! Absolutely stunning. Her birthday should be your (re)birthday. A poster dog for rescues!